Pressure Cooker Soy Sauce Chicken Wings easily cook up in a delicious and fragrant marinade and make a great party appetizer. 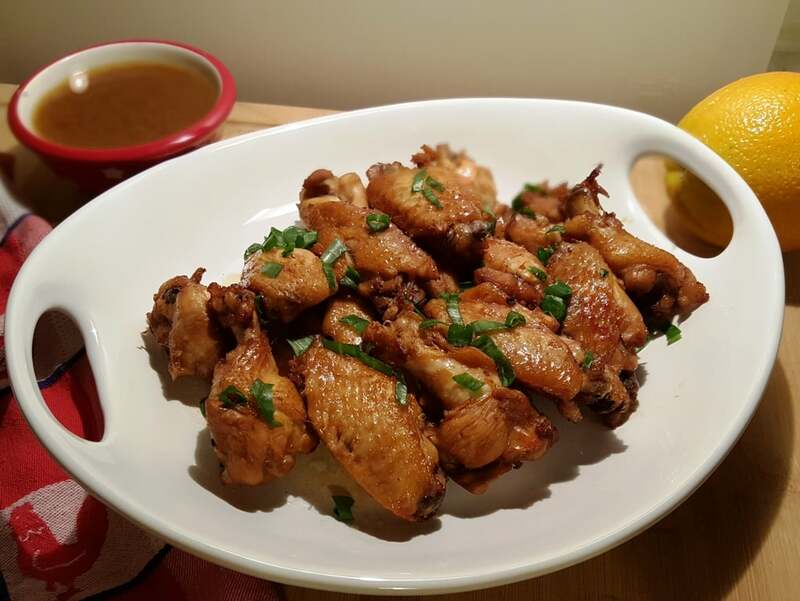 Instant Pot Soy Sauce Chicken Wings. Yet another chicken wing recipe. As you know, Friday is wing night in this house. 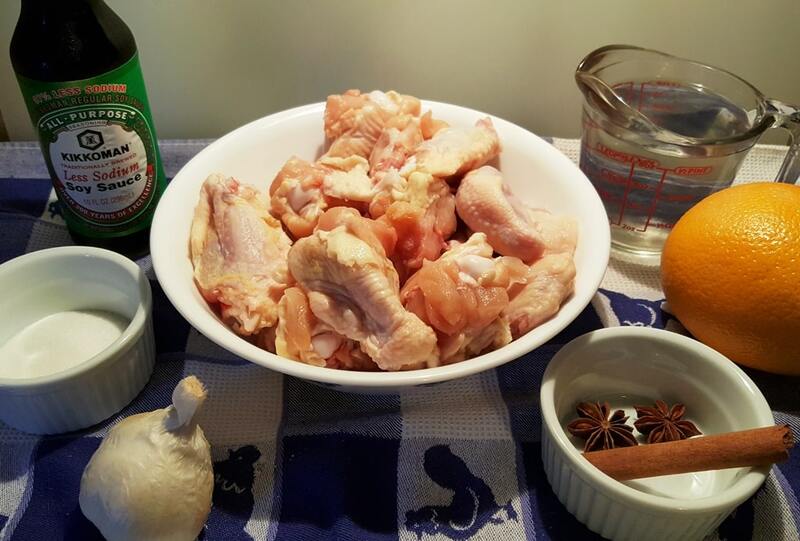 We love wings, so keep checking back as our repertoire of yummy chicken wing recipes is growing fast. This Chicken Wing recipe is very different from my Asian Ginger Sticky Chicken Wings recipe. This recipe was shared in one of my cooking groups. If I can find the original recipe and the nice lady who shared, I will update. The original recipe calls for baking the wings in the oven but of course, I just had to make them in the Pressure Cooker. This is not a sweet Chicken Wing recipe. 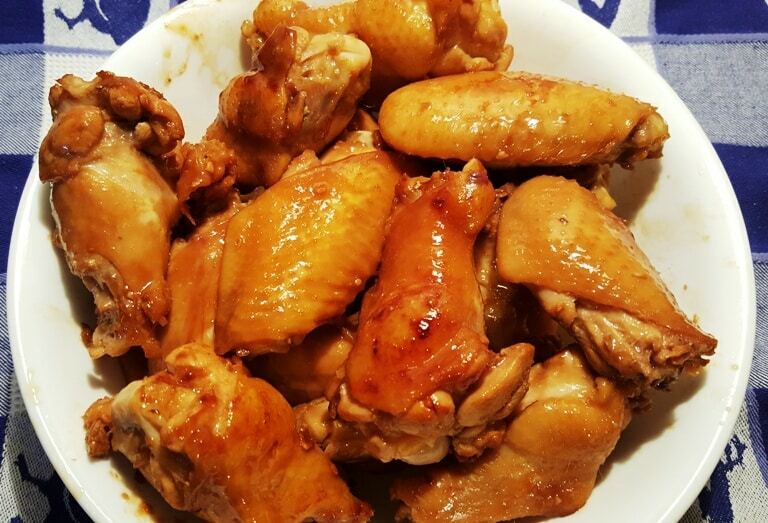 If you like sweet wings, please check out my Honey Bourbon Chicken Wings recipe or my Honey Garlic Chicken Wings recipe. For a spicy wing and still my favorite wings of all time, check out my Buffalo Hot Wings recipe. 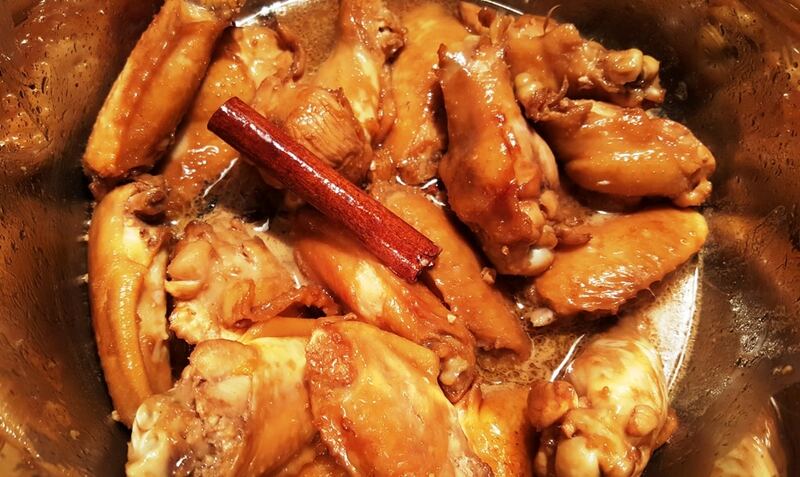 Star Anise and a Cinnamon Stick make these wings very fragrant. 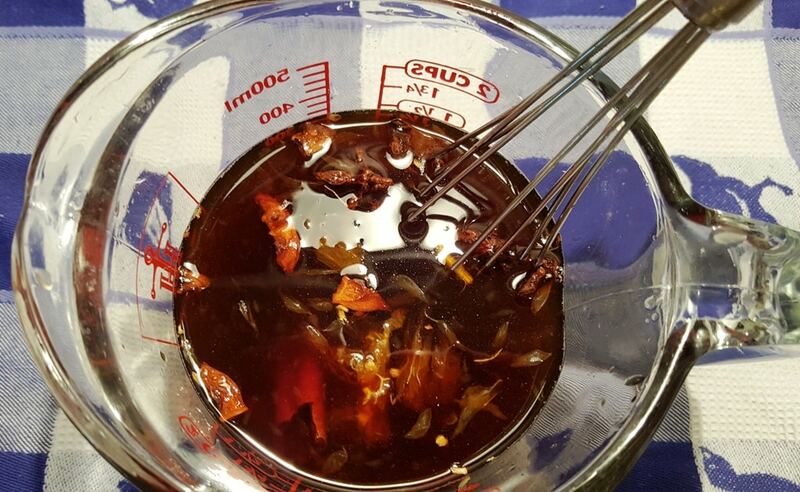 Using a measuring cup or bowl, whisk up the marinade ingredients. Chicken always tastes better after a long marinade. 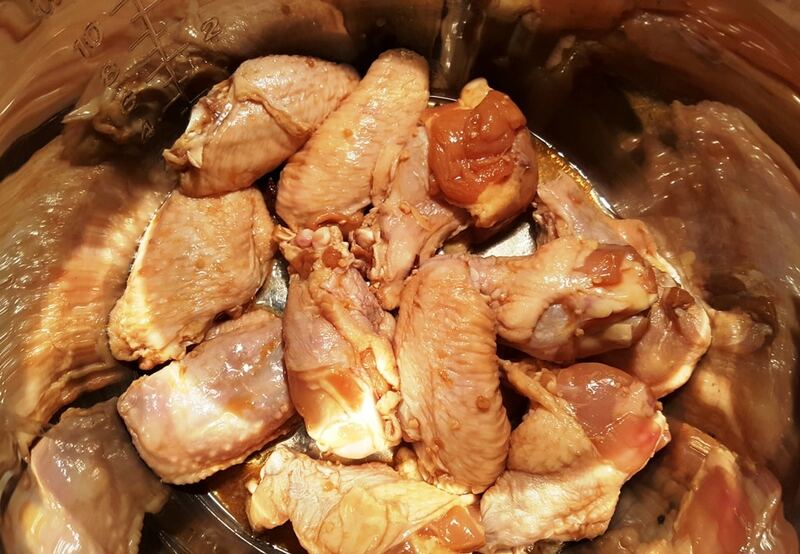 It is great to marinate the wings overnight, but if you cannot, then at least marinate them for an hour. 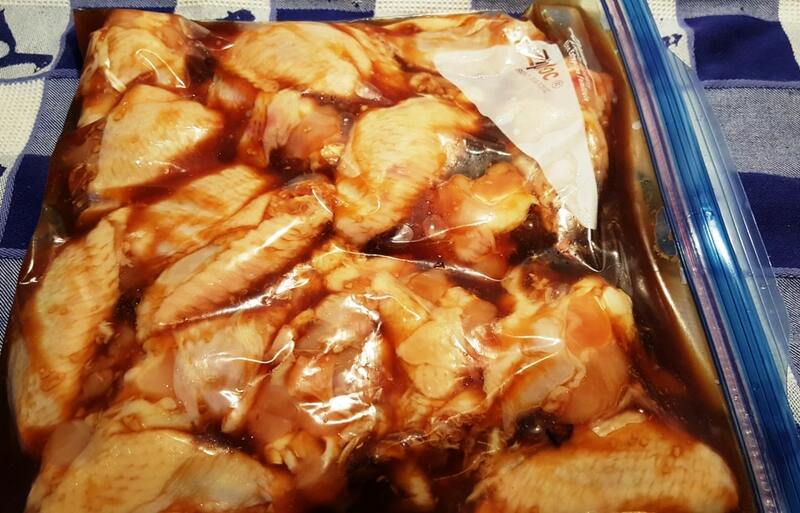 I just use a Ziploc bag and throw the wings with the marinade right inside and then place in my refrigerator. I have the whole line of True crystalized citrus products in my pantry. They taste exactly like a very fresh piece of fruit. 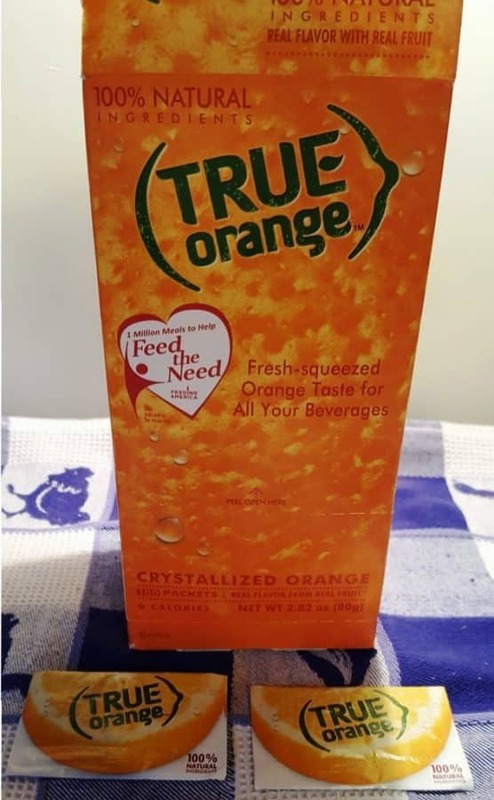 If you don’t have oranges, this is a perfect substitute. In fact, the orange I cut open tonight, was not very juicy or flavorful, so I added a packet of the True Orange. Turn on your Pressure Cooker to Sauté or Browning mode and allow it to heat. Add a little oil (I used Homemade Simple Ghee and a touch of Sesame Oil) and then braise the wings in batches. You don’t want to cook the wings all the way through, just get them a little brown. After all the wings are nicely braised, add the marinade into the Pressure Cooker cooking pot and deglaze the cooking pot. Only 5 minutes in the Pressure Cooker! Add the wings back into the Pressure Cooker and in just 5 minutes, you will have perfectly cooked Soy Sauce Chicken Wings. Remove the wings to a plate and turn the Pressure Cooker on to Sauté or Browning and allow the liquid to reduce. Run the liquid through a strainer. Pour sauce over the chicken and serve with Glistening Mashed Potatoes, Triple Coconut Rice or Ghee Rice. You’ll need something to soak up all the sauce. Combine marinade ingredients. Add chicken wings and marinade to a Ziploc bag and place in the refrigerator overnight, or at least one hour. Select Sauté or Browning on your Pressure Cooker and allow to fully heat. Add a Tablespoon of oil and chicken wings and let brown for 2 minutes. 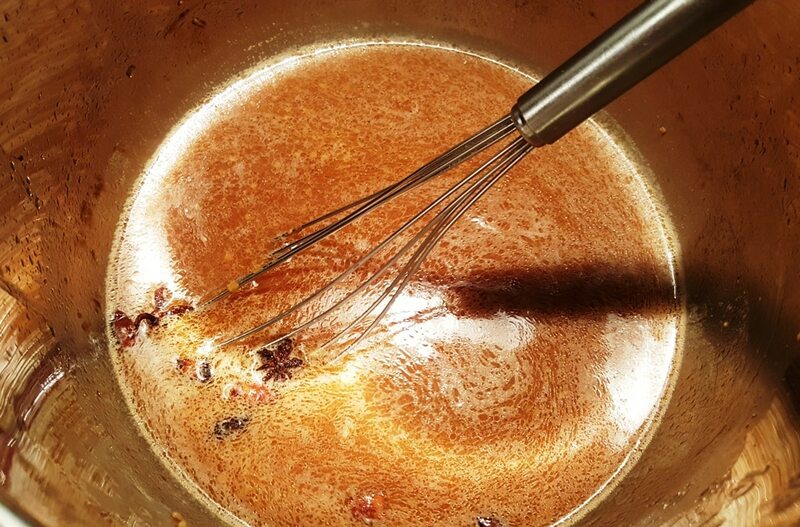 Add marinade to Pressure Cooker cooking pot and deglaze. Remove wings from Pressure Cooker. Select Sauté/Browning and reduce liquid. Strain liquid and serve on the side as a dipping sauce. If using chicken thighs or legs, cook for 7 minutes. 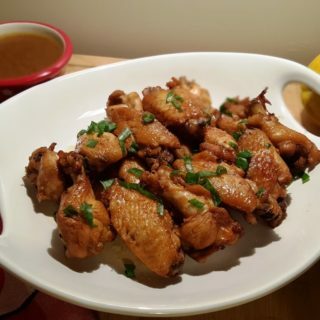 PIN this Pressure Cooker Soy Sauce Chicken Wings (or Thighs or Legs)!